University of Minnesota, Minneapolis – B.I.S. Joe is part of the Colliers | Wisconsin Investment Services practice group and the firm’s expert in multi-family assets and land disposition. 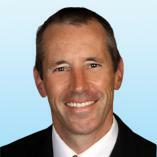 Joe began his career in real estate brokerage in 1994. After 3 years in new construction sales, he absorbed the responsibilities of project manager for a land development firm. During the next decade he gained vast experience in land acquisition, entitlement, and development. After joining Colliers in 2009 in the midst of the real estate recession, Joe worked closely with several banks and local lenders on completion and disposition of broken residential developments all over southeastern Wisconsin. Joe continues this work post-recession. During the course of his 22-year career in real estate, Joe has acquired priceless skills and knowledge. His areas of expertise include valuation and disposition of multi-family, residential land, redevelopment, mixed use, and assisted living assets. Joe’s insight is constantly sought by coworkers and friends of the firm. He is regularly among the top producing brokers in Wisconsin.